We are nearly at the end of 2014 but the NBA remains busy, with plenty of games on offer to see this year out in style. If you are looking for Tuesday night action, there are a number of games that catch the eye but there were some excellent games on Monday as well. The Bucks picked up a big away win in Charlotte, triumphing by a score of 94-104. The Magic won a close one in Miami, pipping the Heat by a score of 101-102. The Wizards also won a very close away match, defeating the Rockets by a score of 103-104 in Houston. Compared to the other two games, the Bulls had a relatively comfortable win in Indiana, although this was another close one, finishing 90-92 for the team from Chicago. The Nets were very comfortable in their 107-99 win against the Kings and the Clippers got over the line against the Jazz by a score of 101-97. The Pistons haven’t had a great season so far and they currently hold a 7-23 record. They have managed more wins away from home so far, with a 4-10 record, and they will be desperate to add to this number when they take on the Magic on Tuesday. The Magic have a better record than the Pistons but not by too much. Currently, the Magic hold a record of 13-21 and this contains 4 wins at home with a 4-9 record in Orlando. In saying that, both teams have won their last two games, although the Pistons hold a 2-3 record in their last five games while the Magic holds the slightly more impressive 3-2 record in the same number of matches. The Pistons may have waived veteran Josh Smith last week but there has been no negative impact on the team. In fact with two wins under their belt, the Pistons may have been wishing they made this move sooner! A Friday night 119-109 against the Pacers was a big story but the Pistons grabbed plenty of headlines for their Sunday antics, winning in Cleveland by a score of 80-103. This was a huge win and it provided the Pistons with 2 wins from 2 games, whereas it had previously taken them 19 games to notch two victories. This run of form could fall apart at any time but the Pistons will be keen to keep on firing for as long as they can. Victor Oladipo was the hero on Monday for Orlando when they defeated the Miami Heat by a score of 101-102. Oladipo managed to grab four points in the last 43 seconds of this game, pushing his team towards victory. Neither team has any notable or significant injury worries coming into this game and even the bookmakers are finding it difficult to separate these two teams. 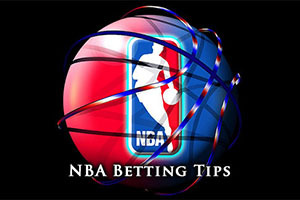 You may not go too far wrong taking the Pistons with a -1 handicap at odds of 1.90 but you have to think the Orlando home crowd will see the home team pull through, so taking the Magic with a +1 handicap and odds of 1.90 will hopefully get your Tuesday night basketball betting action off to a flying start. Bet Now! The Nets hold a 14-16 record so far this season and this includes their 6-8 record away from Brooklyn. The Bulls are in much better shape this season, holding a 22-9 record at the moment, which contains a 9-5 record in Chicago. This indicates that the Bulls can be punished in Chicago though and there is a lot to be said for the fact that so far in this campaign, the Bulls have been a bit more comfortable playing away from home. They are still strong favourites for this match though. When you take on board that the Nets won their last game, and have a 4-1 record in their last five games, their current form is very good but they are taking on a team with a 7 streak winning run. Streaks and runs are there to be broken but surely the Bulls will be determined to maintain their run into the New Year? Jimmy Butler has been in impressive form for the Bulls of late, grabbing 27 points on Monday in the 90-92 win in Indiana. The Nets also grabbed a win on Monday night, defeating the Kings 107-99. Mason Plumlee scored 22 points in this game and his strong play was assisted by Jarrett Jack who added 16 in the Monday night win Brooklyn. If these two players find their form once again in Chicago, this could be a more interesting game that some people are expecting. Kirk Hinrich is a big doubt for the Bulls but that aside they have a clean bill of health heading into this game and the Nets have no notable injury concerns about this game. Given that there doesn’t appear to be much doubt about the Bulls winning this game, it all comes down to the spread and the handicap of +11.5, at odds of 1.90, on the Brooklyn Nets may be of interest for those who feel that their recent run of form will provide them with the confidence to face up to the might of the Bulls. Bet Now! 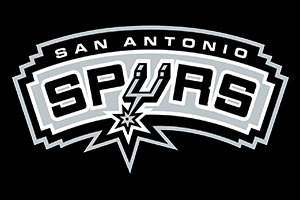 The Spurs hold a 19-13 record coming into this game, which includes a 9-8 record away from San Antonio. It hasn’t been an easy season for the reigning NBA champions but they still look in a good position to have another tilt at their title in the New Year. The Grizzlies are certainly looking good at the moment but they will need to maintain their form to prove that they are serious contenders for the post-season period. The Grizzlies currently hold a 22-8 record, which includes a record a 12-4 record in Memphis. Both teams come into this game on the back of a single win. With respect to the five game standings, the Spurs are sitting on a 2-3 record while the Grizzlies are holding a 1-4 record. The overall record for the Grizzlies so far this season is impressive but in recent times, the team has been wobbling. The Grizzlies finally burst their skid on Saturday with Mike Conley grabbing 24 points and Marc Gasol providing 22 points in the 95-103 win in Miami. The Spurs also felt some relief from their Sunday night win against the Rockets, winning by 110-106 to get back to winning ways. The Spurs don’t have any major injury worries coming into this game but the Grizzlies are concerned about Zach Randolph, Tony Allen and Quincy Pondexter. This is a game that could genuinely go either way and it would not be a surprise to see the Spurs stealing it, so taking them with a +2 handicap at odds of 1.90 is definitely something that will appeal to a lot of people. Bet Now!